This essay is a special preview of the Winter 2019 Issue of FORMA. If you would like access to the rest of the issue, which will ship in January, be sure to subscribe now. God created the world without form, and then formed it, “as a master craftsman” (Prov. 8:31). The first command to man was to go and do likewise—to bring form and order to creation; to harmonize the elements of the world. What are the implements God gives to make this mammoth task possible? Food. A reckless abundance of raw ingredients. This gift is more than a pragmatic fuel supply. It is a kind of practice case: a smaller set of disparate elements to be harmonized, a dream pantry for the first would-be chef. Though we don’t know if it was Adam who tossed the first salad or toasted the first herbs—he wasn’t always one to live up to his potential—it is clear that for the first man food provided the freedom to pursue his God-given task without fear of want. More than that, it allowed for training in that work for which bearing God’s image marks us. Taken together, these are, incidentally, the primary concerns of the liberal arts tradition. The liberal arts, Stratford Caldecott writes, “were intended for the cultivation of freedom and the raising of our humanity to its highest possible level.” The definition suggests that the two are essentially unified, and any movement toward a more complete humanity is necessarily a movement toward greater freedom. If, by cooking, we can imitate God’s own artistic work while also meeting basic human needs, then cooking may deserve admission into the exclusive fraternity of the liberal or liberating arts. It isn’t a stretch to say that learning to cook set me free. I spent several of my adolescent years as a latchkey kid, often dining alone on frozen fish sticks and personal pizzas while my mother worked long hours. Because children rarely have good taste, I was content eating spongy, monochromatic food from a box. It was a good thing, too, because I was an only child in the suburbs who couldn’t drive and couldn’t cook; my world was small, and a little contentment went a long way. But that was before the yearning came. I dug a basic recipe out of an old cookbook and assembled the other ingredients it named (if they had included anything but milk, butter, and heat, this story might have had a very different ending). After three or four hours of peeling potatoes, dirtying most of our dishes, and using the stove without permission, I succeeded in making what still live in my memory as the best mashed potatoes I have ever tasted. Admittedly, the endeavor began as a selfish attempt at instant gratification—my belly wanted something for which it didn't want to wait. But in the end, making the potatoes proved more satisfying than eating them. I felt like Tom Hanks lighting his first fire in Castaway. But I could have thrown away the product, uneaten, and the feeling would have remained. I had gathered together disparate components, mixed my labor with them, and made something. And made my world a little bigger in the process. For the first time I can remember, I felt the satisfaction of making and creating, of doing the work of an image bearer. It was liberating. But are the culinary arts liberal arts? We know things like painting and vocal performance as “fine” arts because they are an end (finis) unto themselves. The beauty of a symphony, we say, is its own justification for being. Though a great deal of the food we eat is better than it has to be, cooking still satisfies a basic biological need. Perhaps it is too practical to be a fine art. Other practical arts (i.e. crafts) we call servile arts because they serve other endeavors by supplying the tools that make them possible. A blacksmith may rightly be called an artist, but swords and plows are not ends in and of themselves. Cooking appears to be an art of a more complicated nature. Priest and food writer, Robert Farrar Capon, sums up its double nature: “To be sure, food keeps us alive, but that is only its smallest and most temporary work. . . . Nourishment is necessary only for a while; what we shall need forever is taste.” In the art of cooking, the momentary and the eternal meet. However, no less than Socrates himself contends that “cookery” is no art at all. In Plato’s Gorgias, he argues that it is only a kind of flattery—an edible sophistry. He contrasts its effects on the body—pleasurable and fleeting, sometimes damaging to the health—with those of medicine—curative, if unpleasant. However, Rhetoric (or at least something going by that name) also suffers plenty of unflattering treatment in the Gorgias, and has still retained a place of honor among the arts. Every time we cook and eat in earnest, we are invited forward into the meal of that everlasting day when our humanity will be fully realized and all manner of thing shall be well. Either way, it may be unfair to ask too much of Socrates on this question. He is certainly at a historical disadvantage regarding the relationship between cookery and truth. After all, he died in 399 BC and it would be roughly four hundred more years before the incarnate Truth instituted a meal as the enduring point of contact between the infinite and the finite. As the Apostle says, “God overlooks these times of ignorance.” Add to that Socrates’ reticence to state his opinions directly, and we are left with plenty of leeway for cookery’s rehabilitation. The seven traditional liberal arts divide into arts of language (the Trivium) and arts of calculation (the Quadrivium). Like cooking, both speech and calculation are activities unique to man. The seven arts are also exceptional in their power to harmonize. Logic, for example, creates harmony among ideas, while Rhetoric aims to create harmony within communities, Astronomy discerns the harmonies of the cosmos, and so on. By almost any definition, to cook is to draw together and harmonize different tastes, textures, and aromas. And the harmonizing power of cooking extends beyond the mere combination of fitting ingredients and flavors. I alluded above to cooking’s unique ability to harmonize moments in time. I recently heard someone describing a family “food ritual” in which her father used to cook special breakfasts of Mickey Mouse-shaped pancakes. After having children of her own and reinstituting the practice, she was startled by the power with which those mornings with her father came rushing back to her. Fans of the film Ratatouille will recognize this as a real-world corollary to the surly food critic’s conversion-by-taste-alone over a meal that transports him to the happiest moments of his childhood. Most of us have similarly powerful food rituals of our own, but they all find common root in the ultimate food ritual: the Eucharist. Bread and wine are not naturally occurring, but require human cultivation, making the Eucharist a meal that must be prepared. As raw components are harmonized into the elements of the meal, the disordering effects of time are undone: partaking of it is an unforgetting (translators usually render the word less literally as “remembrance”) of Christ. In the Incarnation, the material and the eternal are harmonized. In this meal of remembrance, God grants food the power to perpetuate that harmony. In the eucharistic meal we are drawn backward into the moment of our Lord’s sacrifice and simultaneously propelled into that future meal, the marriage supper of the Lamb, which will be the culmination of history. Though this Supper is food of a higher order, it informs all human cooking. It is the ideal we imitate in our own making. It is how we make sense of cooking’s ability to weave together the past, present, and future. Other arts can preserve memories, but cooking and eating allow us to inhabit them. What’s more, cooking is liberal because it gratuitous. I have made no careful distinctions between kinds of cooking or sorts of cuisines; there may be nothing liberal or liberating about diet shakes on the one hand, or edible, lobster-flavored photo paper on the other. But I am content now to consider the ideal type. Every time we cook and eat in earnest, we are invited forward into the meal of that everlasting day when our humanity will be fully realized and all manner of thing shall be well. But we are simultaneously participating backward in that first of all days when food was given in wild excess to acclimate us to a world of abundant goodness. Capon says of this gratuity that “food is the daily sacrament of unnecessary goodness, ordained for a continual remembrance that the world will always be more delicious than it is useful.” If we, as we cook, can remember that lesson and imitate the unnecessary goodness of our creator, we will be free indeed. 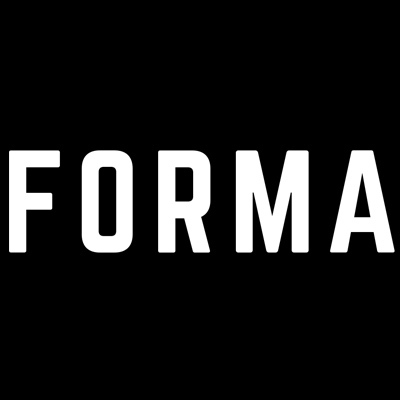 Sean Johnson is the Reviews Editor for FORMA. He went to culinary school and teachers in Florida now. Sean Johnson teaches humanities at Trinitas Christian School in Pensacola, Florida. He is a contributor at Forma Journal and the Circle Institute blog. He is the Reviews Editor at Forma Journal.